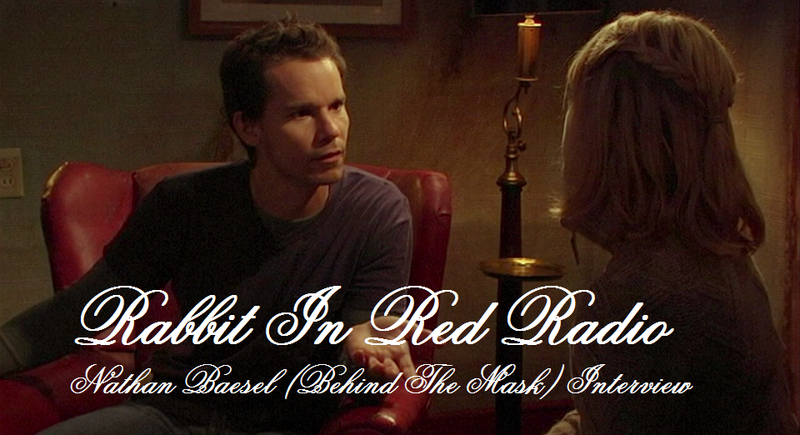 Rabbit In Red Radio Throwback. Nathan Baesel Behind The Mask: The Rise of Leslie Vernon. Behind the Mask: The Rise of Leslie Vernon is a 2006 American mockumentary black comedy horror film directed by Scott Glosserman. It stars Nathan Baesel, Angela Goethals and Robert Englund. Although largely filmed in Oregon, the film takes place in a small town in Maryland, and follows a journalist and her film crew that is documenting an aspiring serial killer who models himself according to slasher film conventions. The film is an homage to the slasher film genre and features cameos from several veteran horror actors, including Robert Englund, Zelda Rubinstein, and Kane Hodder. The film premiered at the 2006 South by Southwest film festival and was shown at several other festivals. It received a limited release in the United States on March 16, 2007.